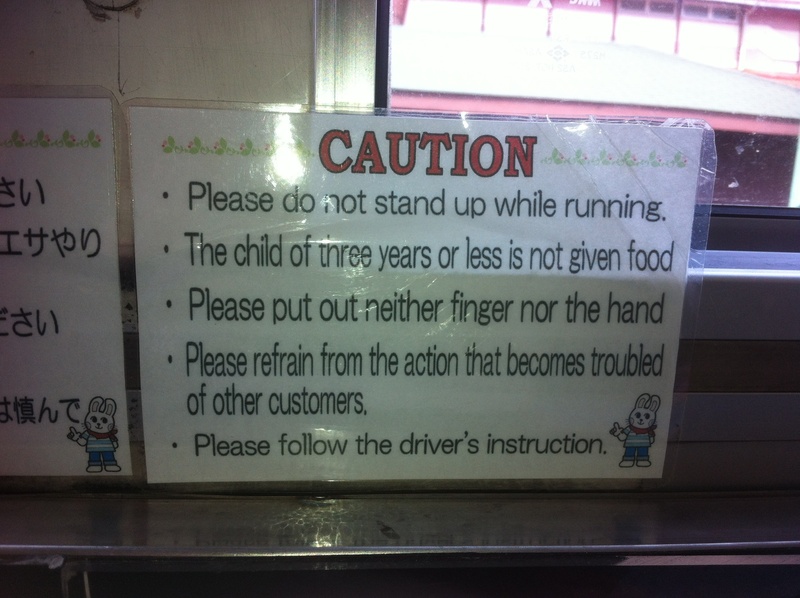 One of the things I like to do when traveling around Japan is look for funny English. Well, this weekend I took the family up to Yamaguchi to check out the caves and the Safari Park and found a great example. Can you guess where it was posted? 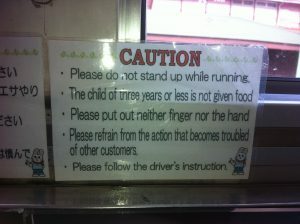 This was a sign posted in the bus that you ride on when you want to feed the lions and what-not. In short, starve your kids, run in a sitting position and definitely don’t put out your fingers or hands – no matter how much they burn!